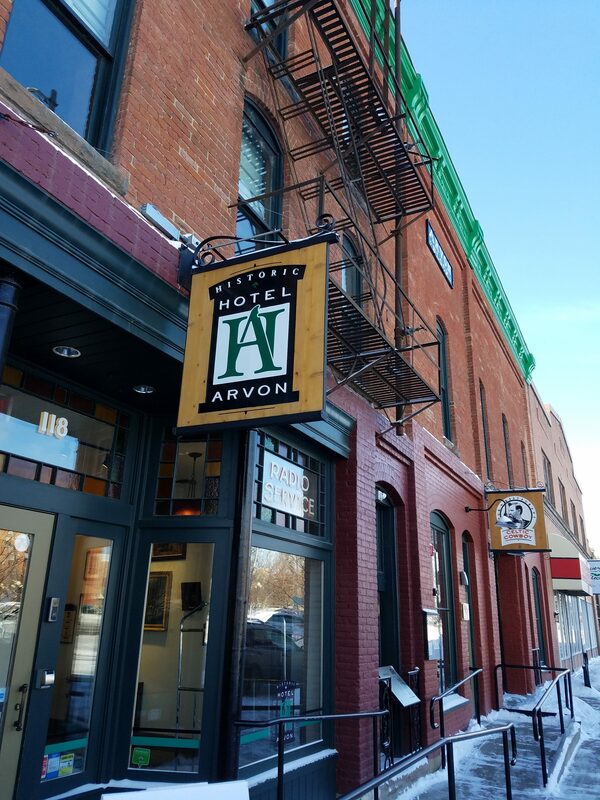 MCOC’s 58th Annual Meeting took place at the Historic Hotel Arvon in Downtown Great Falls on January 11-12, 2018. 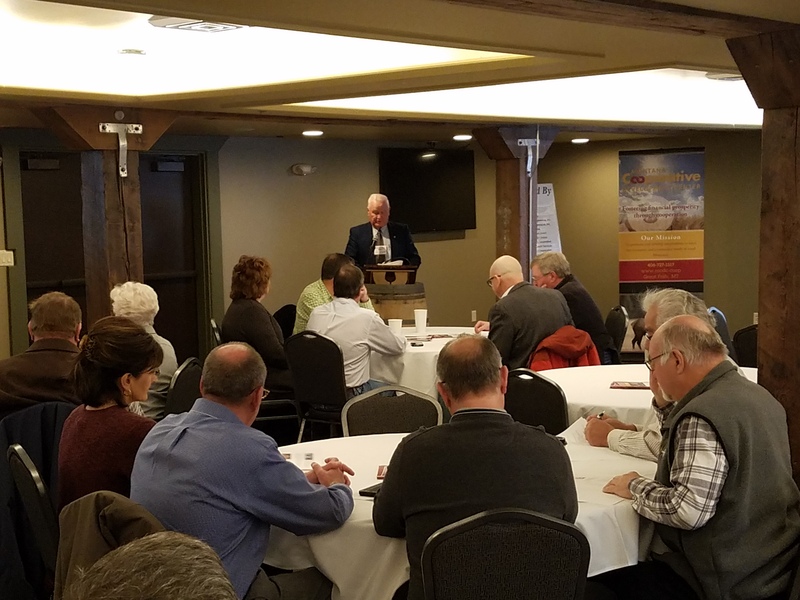 MCOC President Clarence “Fritz” Keller welcomed Council members to their 58th Annual Meeting. 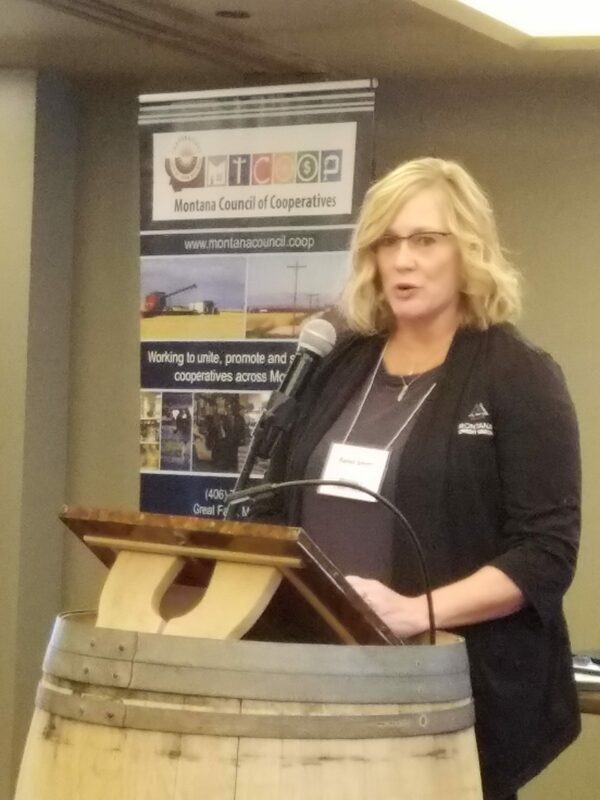 MCDC Executive Director Janice Brown updated MCOC members about the first Montana Cooperative Impact Week. 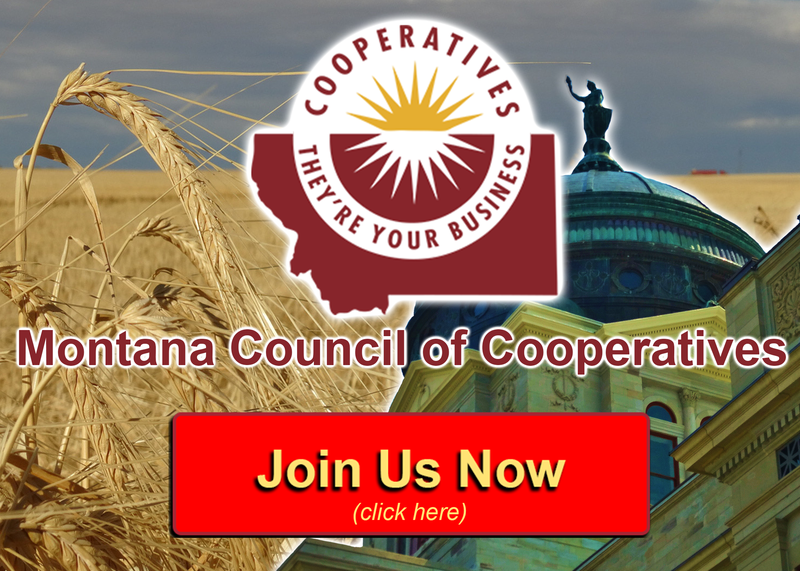 Co-op leaders reached out to youth during the week-long event this past Fall in Eastern Montana. 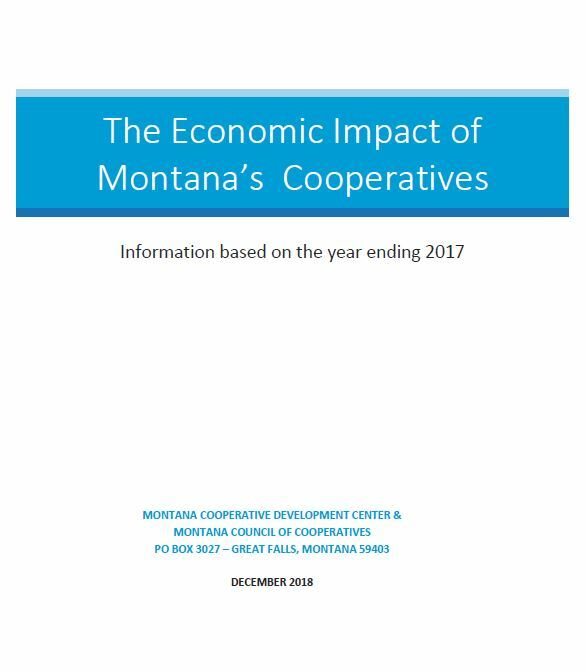 Crucible Board President Tyson Holland and Vice President Phil Munson told their story about forming Montana’s newest worker-owned cooperative. 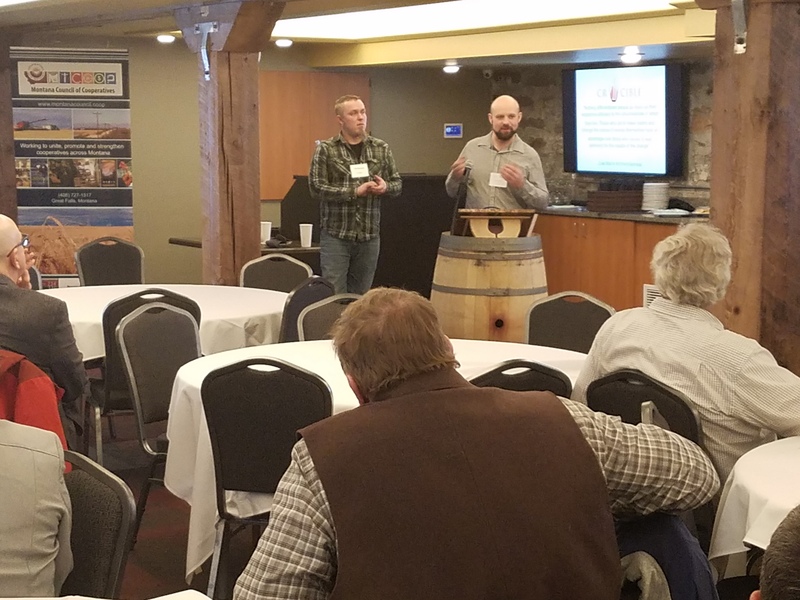 MCOC members from across Montana attended the 58th Annual Meeting. 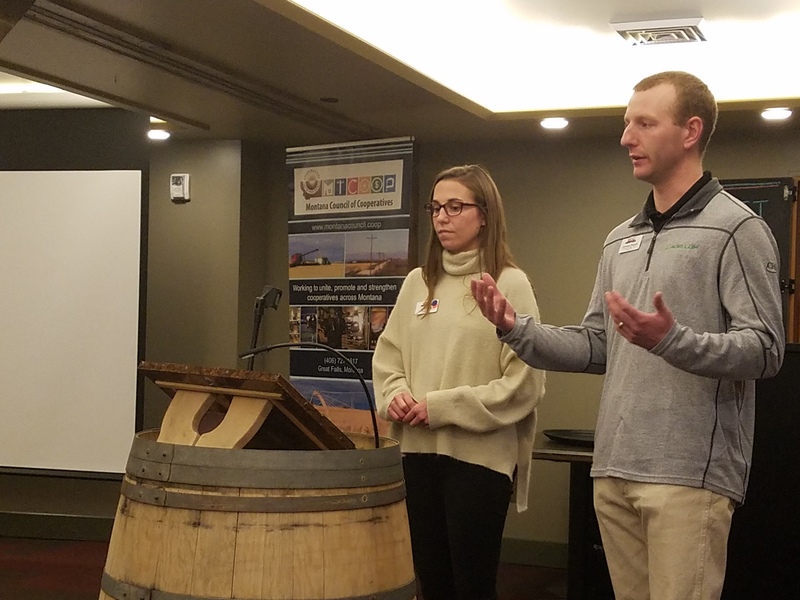 REAL Montana students, Christian Rohloff and Lexi Palagi, both spoke about their involvement in the leadership program, currently sponsored in part by MCOC. 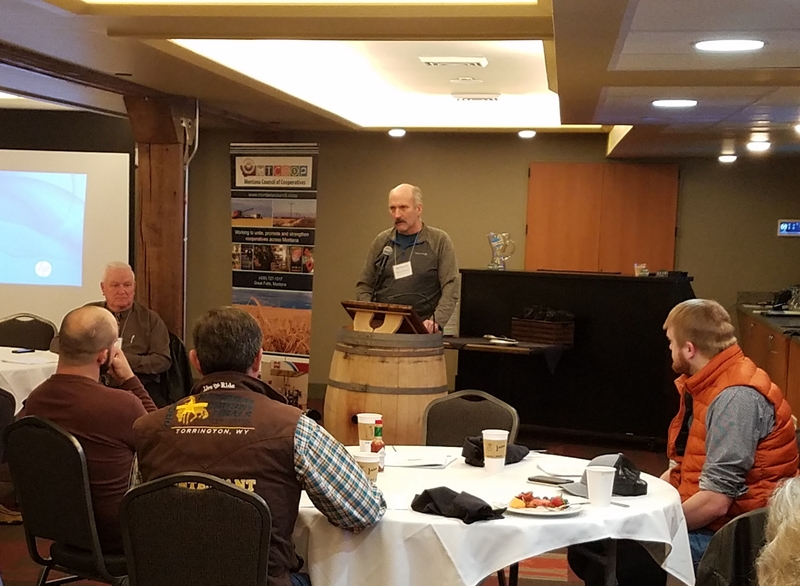 Montana Electric Cooperatives’ Association (MECA) Assistant General Manager Gary Wiens briefed members about the Co-op Campaign Academy supported by MECA and MCOC. 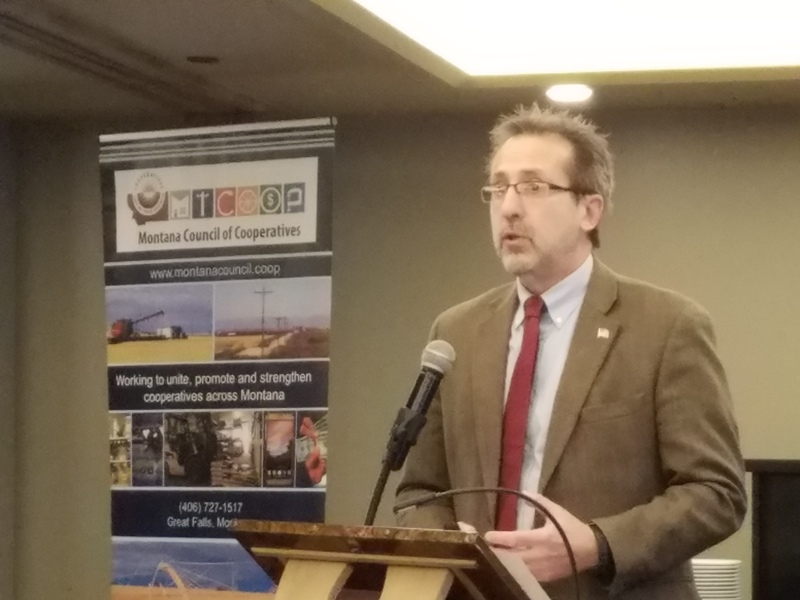 Ben Boreson, President of Nemont Telephone Cooperative, spoke about the latest developments affecting Montana’s telecommunications co-ops. 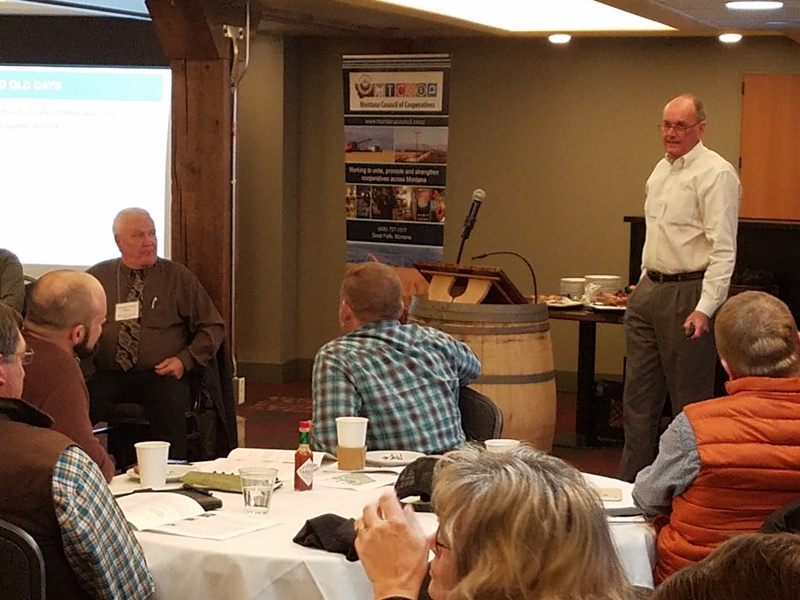 Ranel Smith, Vice President of Relationship Management for Montana’s Credit Unions updated MCOC members about the latest developments for credit unions. U.S. 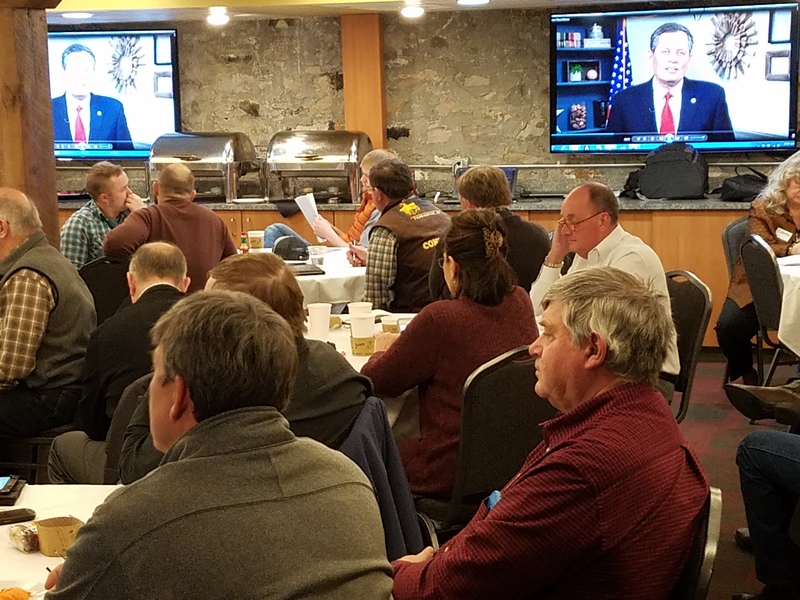 Senator Steve Daines addressed MCOC members via a televised message. 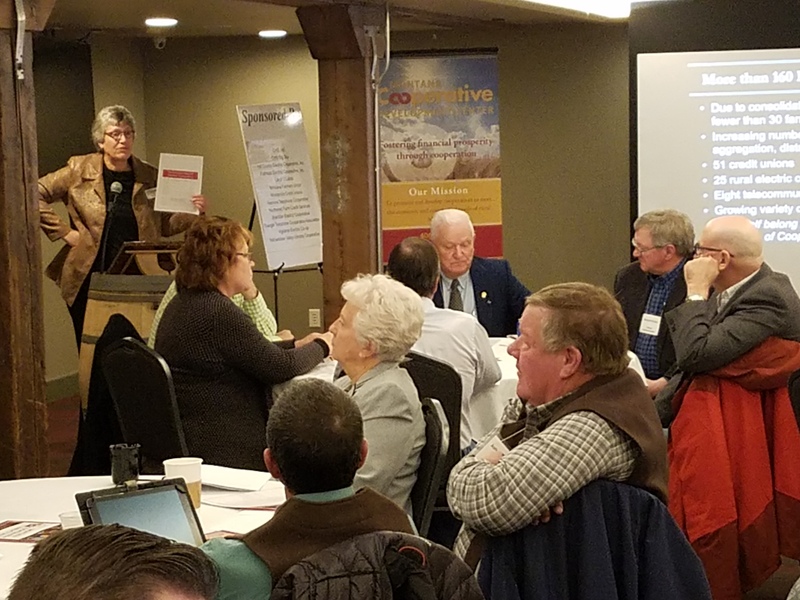 He briefly discussed current legislation affecting co-ops, including the 2018 Farm Bill. U.S. 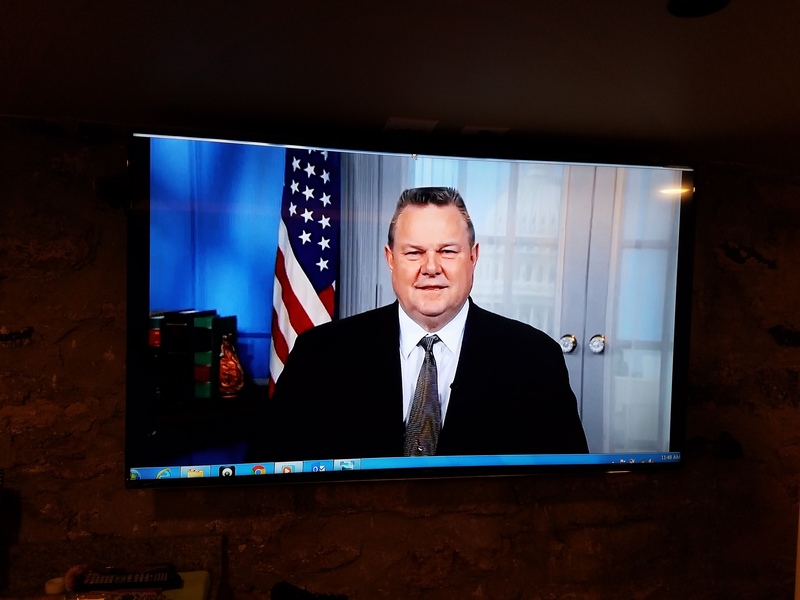 Senator Jon Tester spoke to MCOC members in a televised message. 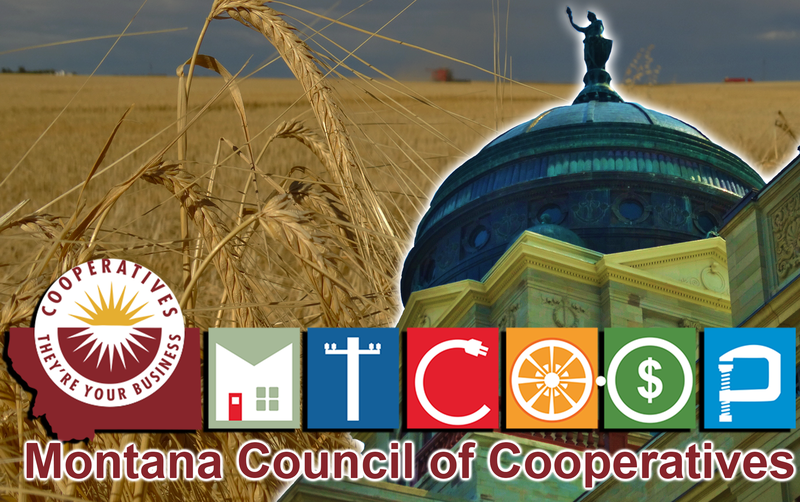 He briefly discussed current legislation affecting co-ops, including the 2018 Farm Bill. 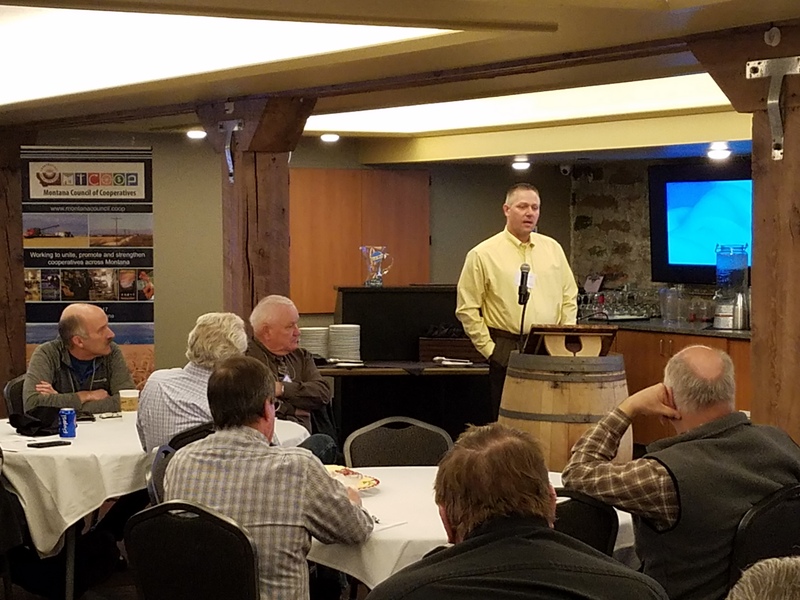 Mountain View Co-op Manager Art Schmidt gave the latest news on farm supply and fuel co-ops. 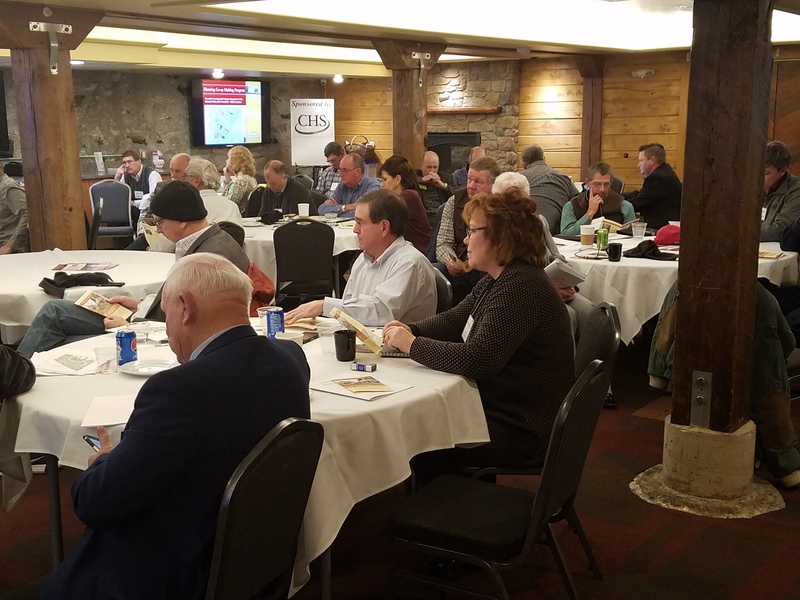 Bob Manning, with CHS Insurance, briefed MCOC members over current human resource and insurance issues currently affecting cooperatives. 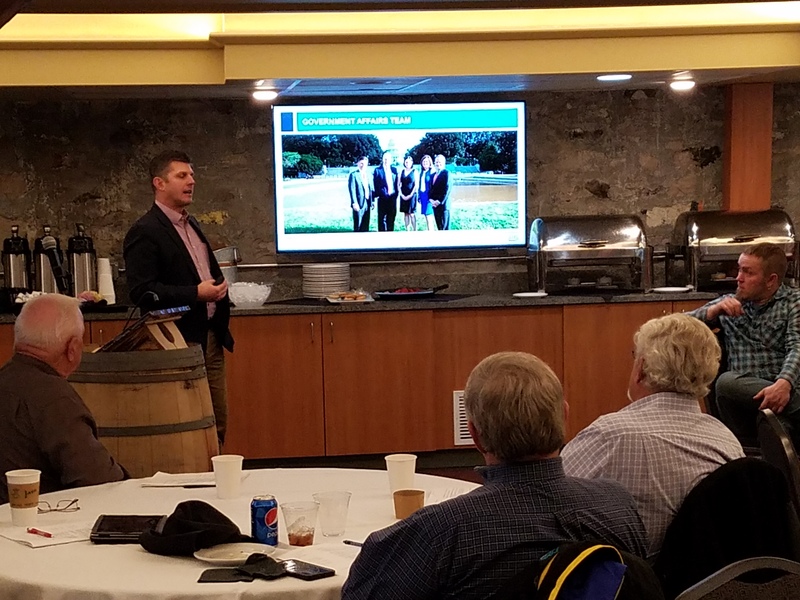 Jake Hamlin, State Government Affairs Director for CHS briefed MCOC members about the current state regulatory issues affecting cooperatives.